Scarecrow: I haven’t got a brain… only straw. Dorothy: How can you talk if you haven’t got a brain? Scarecrow: I don’t know… But some people without brains do an awful lot of talking… don’t they? Dorothy: Yes, I guess you’re right. 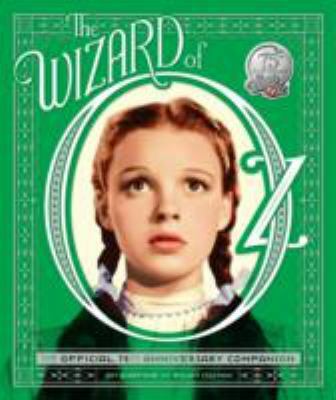 2014 is the seventy-fifth anniversary of one of the most beloved movies of any generation: The Wizard of Oz. Come to my house and there will be no doubt that a true Ozophile lives there. My bookshelves contain copies of Baum’s original book, an amazing pop-up book based on the Oz story, Gregory Maguire’s arch and satirical “spin-off” Wicked, plus the three sequels telling the story of the Emerald City from the viewpoint of each of the major characters. Since I am first and foremost a self-proclaimed Broadway Baby, you will find Elphaba’s Grimmerie, her magic spell book from the Broadway show, Wicked, and a pop-up book of the set design from the show. Friends have gifted me with tiny dolls of the Witch, Dorothy, and the Tin Man. I also own the DVD of the 1939 classic movie and a SYFY channel movie called, Tin Man, in which Zoe Deschanel of New Girl fame plays D.G., a Kansas farm girl who travels to a surreal Oz where she is befriended by Alan Cummings as her half-brained companion, Glitch, and Richard Dreyfuss plays a seriously scurrilous Wizard. 1939, the year that The Wizard of Oz was released, was arguably the most important year in Hollywood’s long history. During that epic year, six films of note were released by studios: The Wizard of Oz, Gone with the Wind, The Hound of the Baskervilles, Mr. Smith Goes to Washington, The Adventures of Huckleberry Finn, and John Ford’s Stagecoach. With all that greatness, The Wizard of Oz (which did not win the Oscar for its year) is a TV perennial. As a child, I waited anxiously for the annual showing of the movie on TV, and marveled as the screen turned from dull black and white to glorious Technicolor. My sisters, old enough to see the film in the theatre, were taken out when the Wicked Witch appeared, scaring them into tears. My mother never forgave them the wasted price of admission. 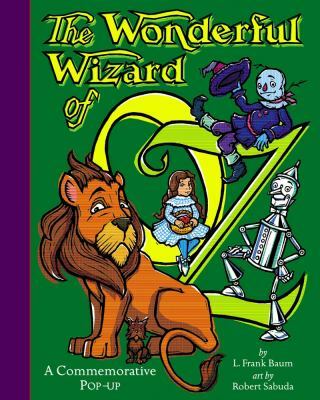 The Wonderful Wizard of Oz, by L. Frank Baum with illustrations by W.W. Denslow. This was the first of some forty Oz-related books written by Baum. If this is the first time you’ve actually read the books, you will be struck by the fact that, while designed as children’s fantasies, they are actually somewhat scary for the youngest readers. The story is somewhat different from the movie that we all know, but the bones are the same. One iconic item that was changed was Dorothy’s slippers. In the book they are silver. 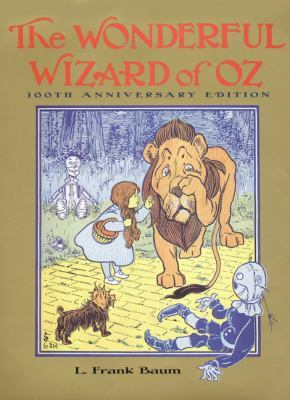 The Wizard of Oz: The Official 75th Anniversary Companion, by William Stillman and Jay Scarfone. All the trivia you ever wanted to know about the movie is encompassed in this coffee table sized volume. You’ll learn that Shirley Temple was the original choice for Dorothy, but her studio would not lend her out. So, MGM used Judy Garland, but bound her breasts to make her look younger. Buddy Ebsen (later made famous in The Beverly Hillbillies) was originally cast as the Tin Man, but developed a severe, life-threatening allergy to the silver make-up he had to wear. The book includes dialogue, movie cards, and still photography of the original set. It is a must-have for anyone who treasures the movie. The Wizard of Oz: A Commemorative Pop-Up Book, illustrated by Robert Sabuda. Sabuda is the undeniable master of paper engineering and this tribute to the Emerald City is beyond compare. Included in the book is a pair of green-tinted glasses for viewing the wonders of the Emerald City in its original green. Open the book to see a tornado rise from the book in all of its three-dimensional glory, as well as a gorgeous pop-up of the Emerald City itself. The story is abridged, but the illustrations are somewhat faithful to the Denslow originals. This is a book that is a perfect gift for older children because it is easily destructible. 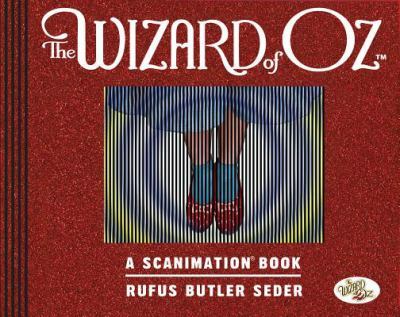 The Wizard of Oz: A Scanimation Book, by Rufus Seder. Another unique interpretation of Oz in another unusual format. Scanimation books make the pictures move as children open and close the pages. Seder takes ten memorable scenes from the story and turns them into an amazing, moving volume. The Wonderful Wizard of Oz, by Eric Shanawer. This is one of the newest interpretations of the Oz fantasy. This time it is done in graphic novel, the updated version of comic books. Just as Classic Comics introduced another generation to stories that might be beyond their reading levels, graphic novels serve the purpose of engaging “short attention span” readers with the wonderful story in a densely illustrated version. 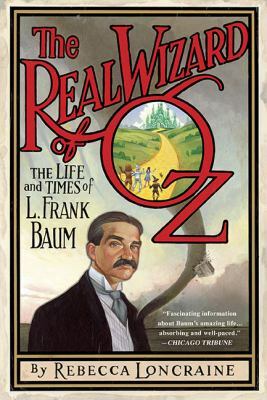 The Real Wizard of Oz: The Life and Times of L. Frank Baum, by Rebecca Loncraine. This faithful, well-researched biography of the author of the original Oz books traces his origins in the Finger Lakes region of New York, to his adult life as a failed businessman in the Midwest. In fact, his book was something of a social satire, with the Emerald City imitating the Chicago World’s Fair and the Witches of Oz bowing to his suffragette wife and mother-in-law. Although his books have had long-lasting success, he was treated as a joke and a failure by the fledgling motion picture industry when they tried to make the book into a movie, the first time. 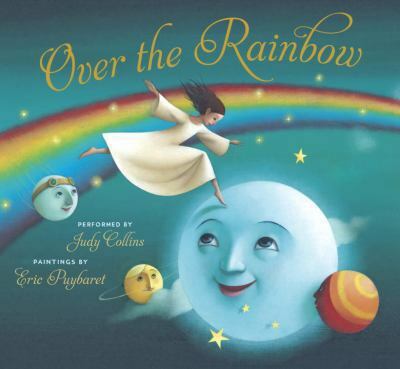 Over the Rainbow, illustrated by Eric Puybaret, based on the song by Harold Arlen and E.Y. (Yip) Harburg. This book and CD set brings the iconic song to life with folk art and ethereal graphic interpretations of the lyrics. The CD that accompanies the book includes the song as performed by folk singer, Judy Collins instead of the original Judy Garland version. It also includes the little sung verse of the song. A wonderful book for one-on-one sharing with your favorite child. I’ll admit that this fleshed-out, political satire based on Oz is an acquired taste, but it is contemporary fantasy at its very best. 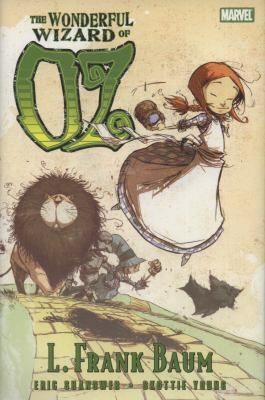 Maguire extends the original story of the denizens of Oz before Dorothy came on the scene, focusing on Galinda (later Glinda) and Elphaba Thropp, the misunderstood daughter of the Governor of Munchkinland. If you have seen the Broadway show loosely based on this book, you will be surprised by all that was left out to create the on-stage spectacle. 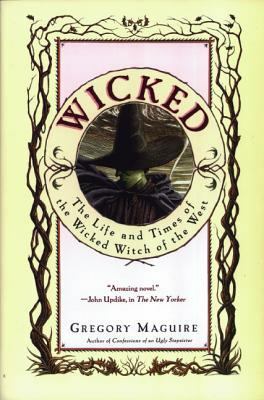 However, the book is a whole different creation as the politics of Oz and the Wizard’s actual evil persona casts Elphaba as a freedom-fighter for the rights of Animals. This is the first in a series of books by Maguire, each telling the story from a different character’s viewpoint. IMHO, this is the strongest and best of the series, although the satire in the second book, Son of a Witch, is a nearly undisguised commentary on the presidency of George W. Bush and a bittersweet representation of a gay romance. This is a short list of all the Oz related books in print and available through the BCCLS library system. Anyone yearning for the Emerald City need only click their heels and take out their library card to travel beyond the stars and the clouds, over the rainbow. ← New Arrivals at HPL: Check Out the Library’s New Ereaders & Tablets, and Some New Books about New Moms–The Book of Life, On the Whole, and Shiver of Light!